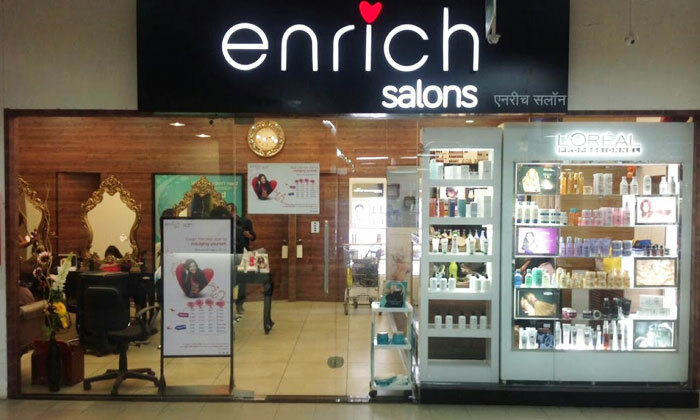 Enrich set up its first salon in 1997 and has since grown to be one of the largest unisex salon chains in Mumbai with multiple outlets across the country. They believe that once you find beauty in yourself, others too will see the beauty in you. With this belief in mind, they offer a host of beauty and wellness services to help customers look and feel their confident best. Their team of professional stylists are well trained and dedicated to consistently providing quality standards. So head over to Enrich and enrich your life with some well-deserved pampering.